It is accompanied by Stompas Curve pull out desk, offering a practical storage solution as well as a place for them to work and create. The desk can easily be stored beneath the midsleeper, and pulled out when needed. It provides four deep shelves perfect for storing books and stationery. Further storage can be found within the stairs of the ladder. Cleverly designed, the bottom step features a discreet drawer which opens to reveal space for keeping toys, games and knick-knacks. 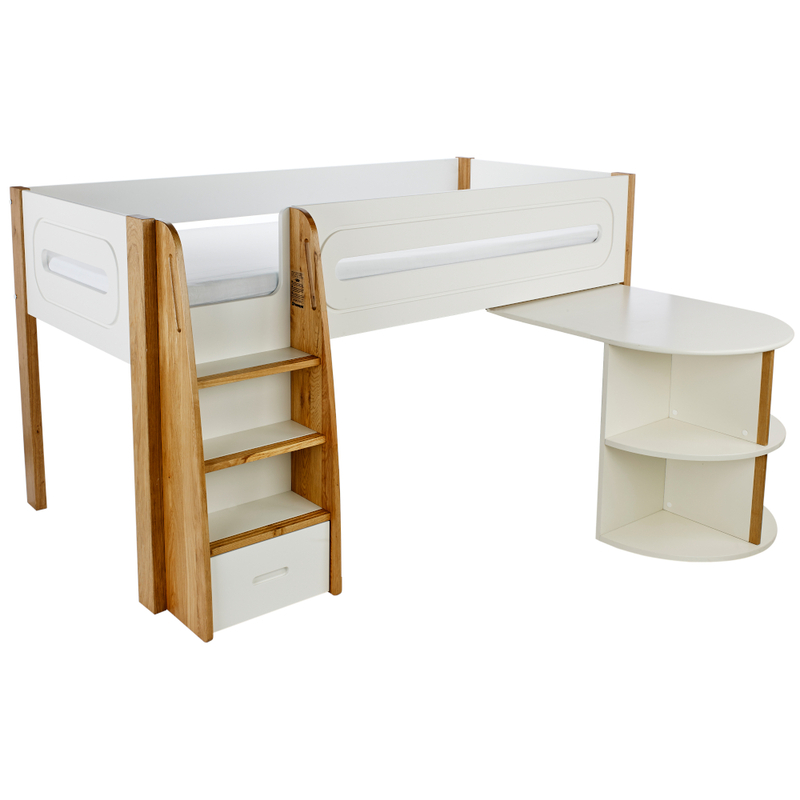 Includes Curve Midsleeper Bed Frame with Pull Out Desk.